We at Rocky Mountain Trains are located on the west coast of Wisconsin and we’re experienced in quality model trains and craftsman style kits and built-ups in all scales. 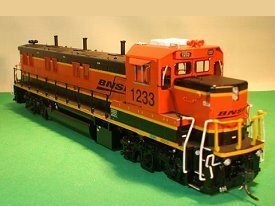 We have over 40 years of experience in building, operating, buying and selling model trains. We offer fair and honest pricing, great service and timely delivery service worldwide. I also buy individual items and collections. HO HOn3 CUSTOM BUILT CRAFTSMAN CIBILO " BRICK WAREHOUSE BUILDING"